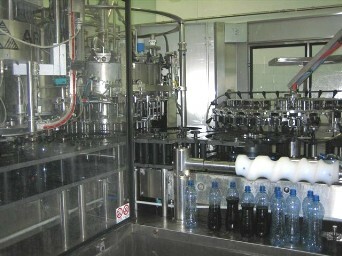 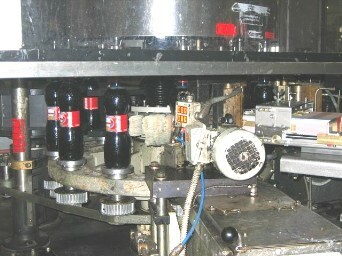 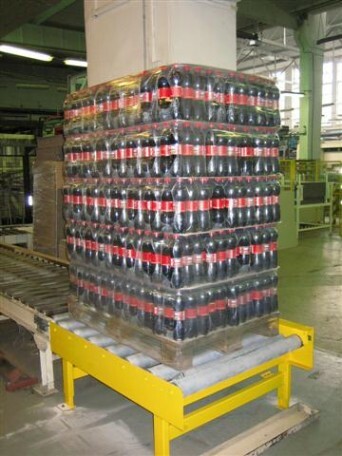 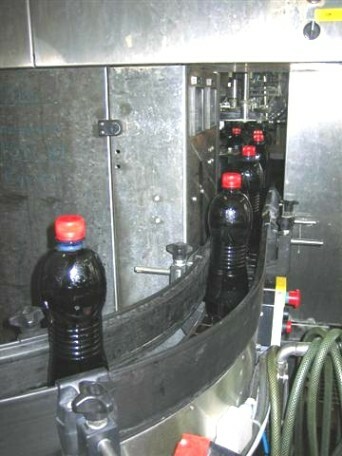 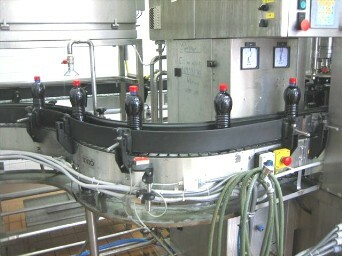 BudaQuelle - filling Cola in a modern bottling plant (Krones) in Budapest, Hungary. 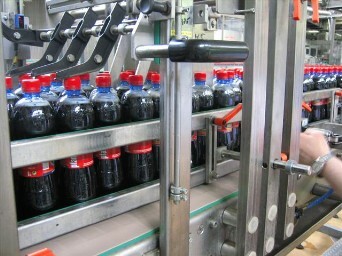 BudaQuelle 0.75 litre Cola bottles in the bottling plant. 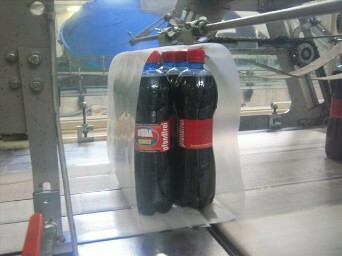 0.75 litre Cola bottles being transported to the control point. 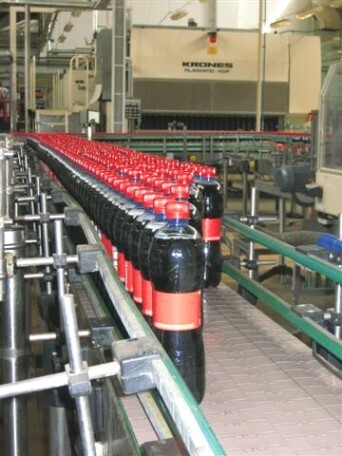 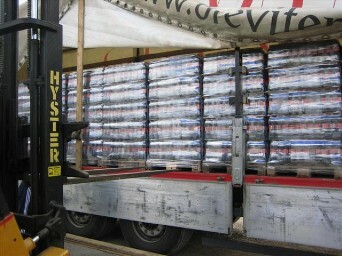 Labelled bottles being transported to the packaging line. 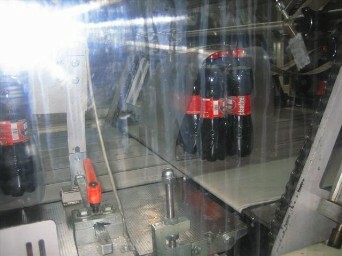 Transported to the wrapping line. 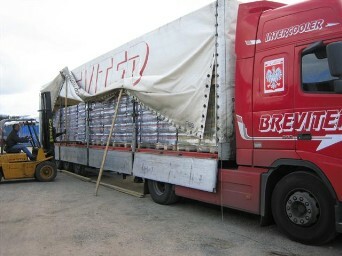 Loading a 24 tonne truck.